a mural that shows early settlers, the cathedral, the school, bishops Provencher and Taché and Louis Riel. 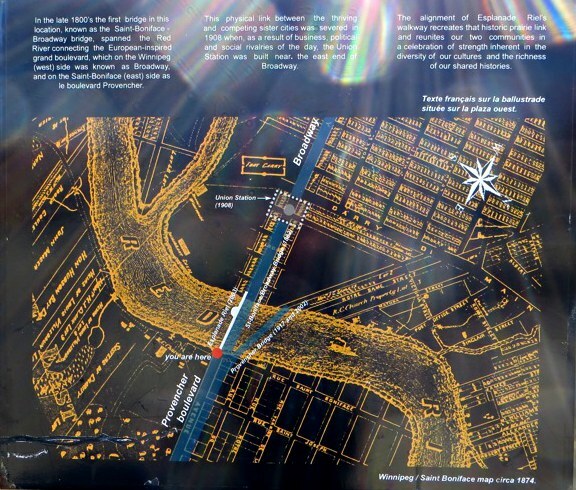 a map on the side of the pedestrian bridge from Winnipeg to St Boniface shows the two cities separated by the Red River. 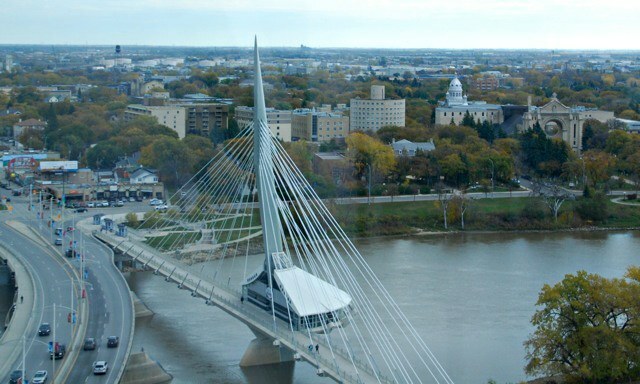 a view over the city and the fabulous Esplanade Riel. 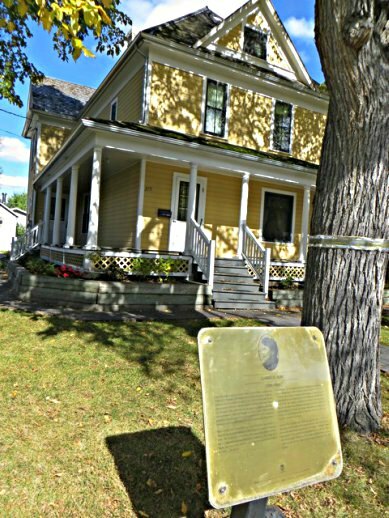 Down Provencher Blvd, in front of the old city hall is a brief history lesson, a plaque that tells of the arrival in 1806 of the first white family to settle in the area who would become the grandparents of Louis Riel. 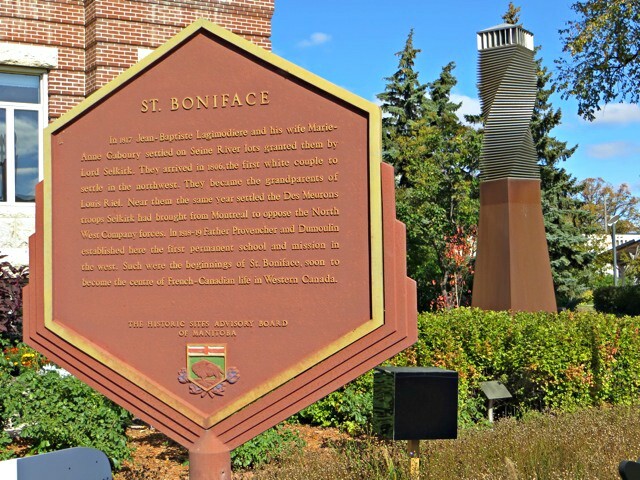 Also of Father Provencher and Dumoulin who would start the first school and mission in the beginnings of St Boniface which would become the centre of French Canadian life in Western Canada. There are walking tours that include the 'old town' and 'Gabrielle Roy' who was a prolific French Canadian author (1909-83). 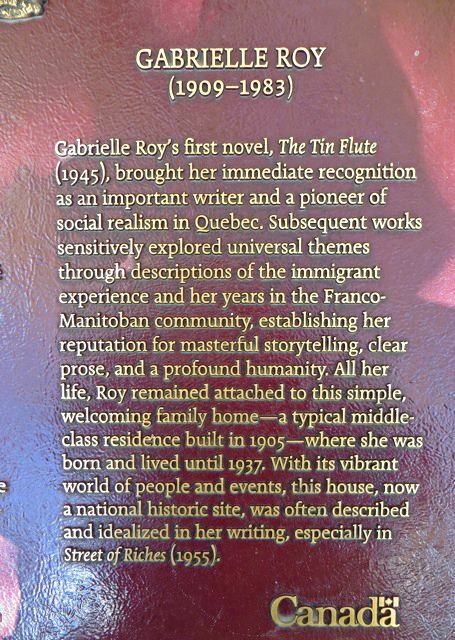 The only book I remember reading was The Tin Flute, but there was also an autobiography titled in English as Enchantment and Sorrow. Both of these won the Governor General's Award. The home she grew up in is now a museum. 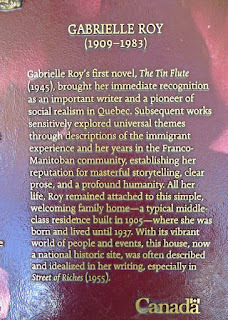 The sign above that is a bit unreadable tells that she was "one of Canada's most prominent authors" and that she was a teacher and active in amateur theatre. Her "first novel was published in 1945 and her writing, much of which were written in Manitoba, was deeply influenced by the prairie landscape and the genteel poverty of her early years. Her simple style, combined with masterful descriptions of every day life developed a devoted international readership." On the left is a more readable sign on her front lawn. Exploring the 'old town' on the main street was a little disappointing as there was very little old left. 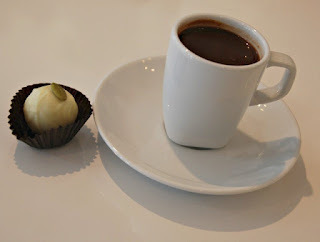 with tiny cups of spicy chili hot chocolate - and for me, a treat of pumpkin truffle. as well as a side order of a surprise chance encounter with an old friend from the days when we all lived in Toronto! You sure found some great stuff. It involved a fair bit of walking, but yes, I was pleased with my finds! Looks good! (Especially the chocolate). the hot chocolate was rather expensive ($4!) but oh, so worth it. truffles are always worth the expense, in my opinion. 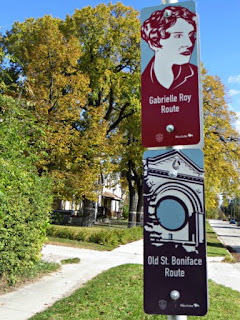 What a great place to explore with really unusual, cool signs and finds along the way! It looks like a lovely area! What I saw looked quite attractive. 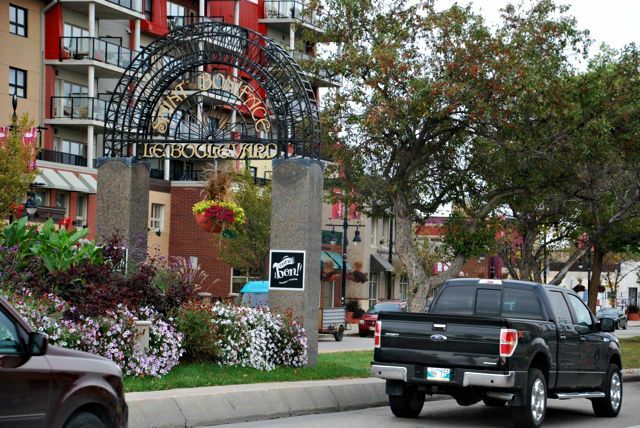 and it's a bonus that you can easily walk to downtown Winnipeg if you need to. FIne photos of the sculptures that look like chairs around a sign. Well found. yes, those chairs were quite unusual! 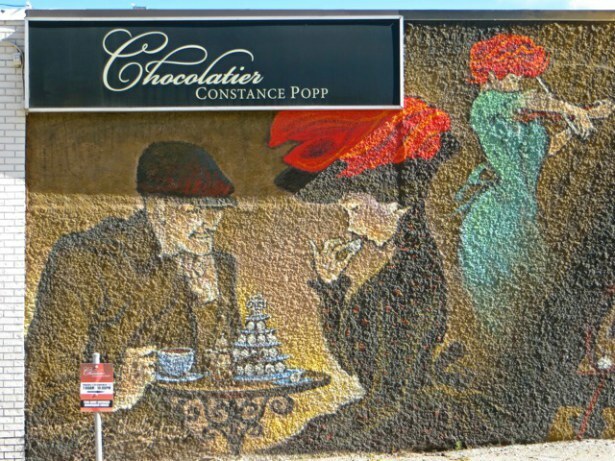 Well, that chocolate shop alone would make it a worthwhile old town (or new town or any town) in my book. And it's a great sign. I enlarged the signs at the author's lawn to read, but still need better glasses. 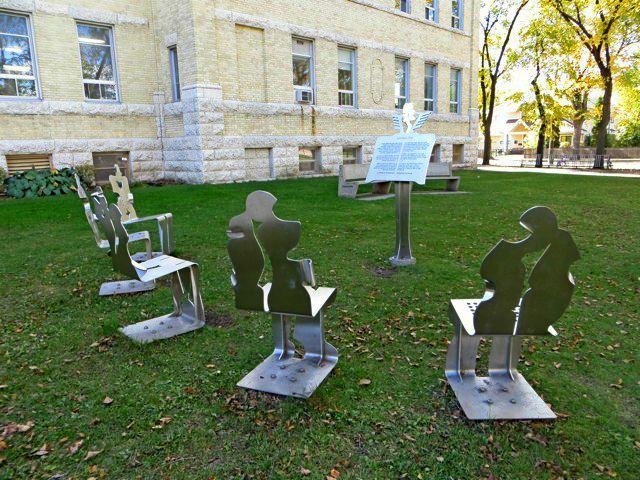 The metal sculptured chairs around them are nice. yeah... sorry about that. the sun and a digital camera meant I couldn't quite see properly! 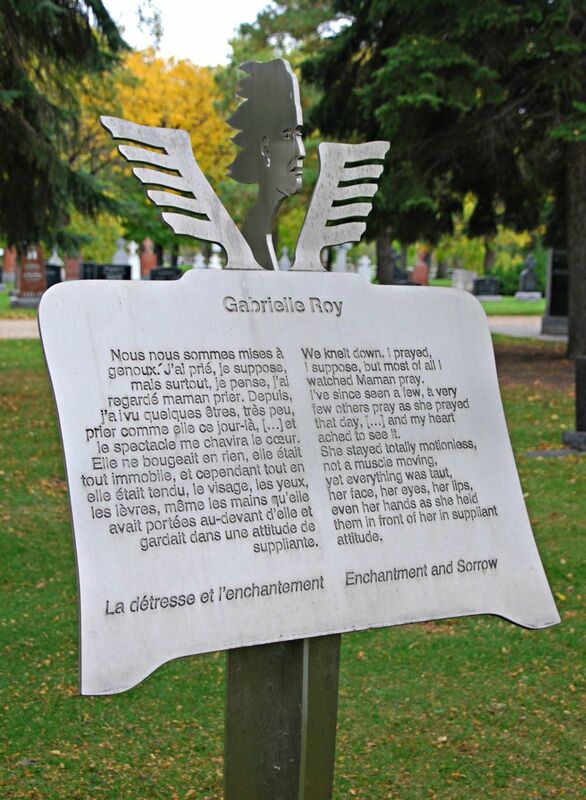 I will add another photo of an easier to read plaque that is also on her front lawn. It turned out to be a nice place to walk. So much to see here. Love that bridge! as do I! I crossed over it a few time. LIke you said about Milwaukee...I never thought I would want to go to Winnipeg but I do after seeing your post! 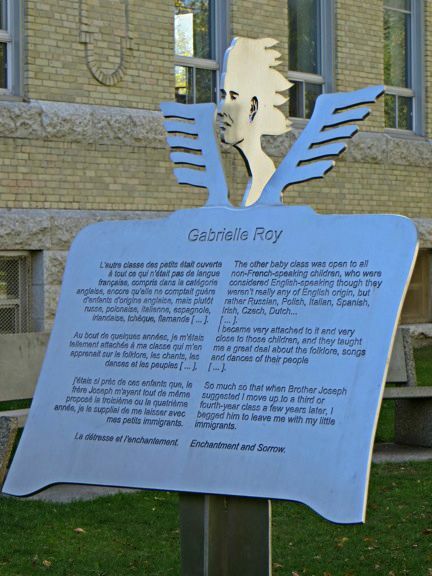 I am a huge fan of Gabrielle Roy and that alone would attract me never mind the other things you included! Tried to comment in the week, Violet, but Dad died whilst I was abroad. Still trying to get my act together. Oh, Jo, I am so sorry. My condolences.